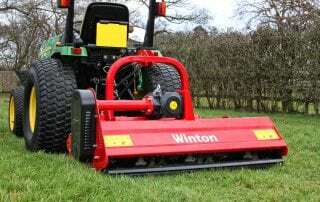 Winton specialises in tractor mounted and PTO driven mowers, suitable for small compact through to medium sized tractors. 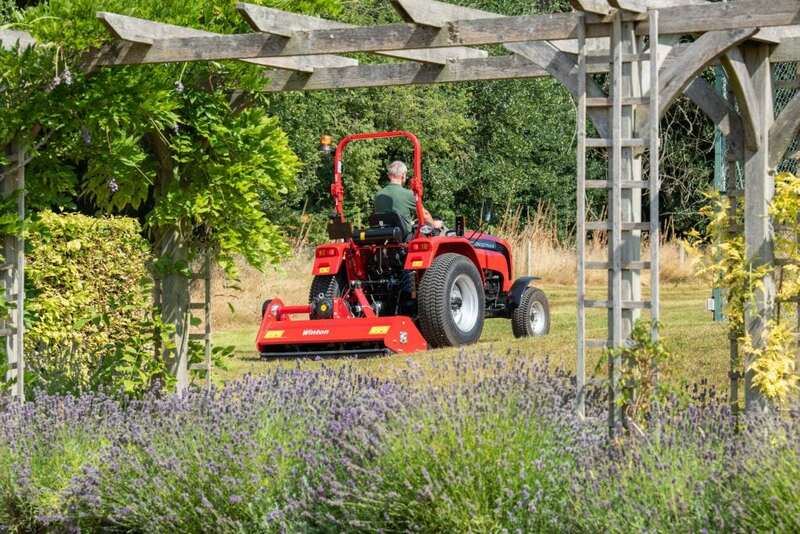 Our range of groundcare machinery takes the typical mower and enhances the durability and robustness by upgrading several key components such as bearings, gearboxes and blades. 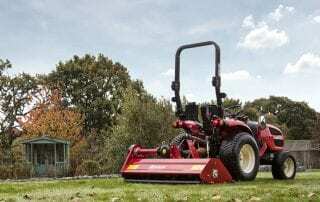 My WCF Winton flail mower arrived today, couldn’t resist hooking it up and giving it a go. Very impressed with the cut, it’s exactly what I was after !! One very even cut on 3ft grass is more than I hoped for. 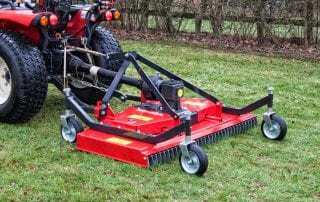 I just wanted to drop you a line of thanks, and say how pleased we are with the WFL flail mower we bought from you. All aspects of the deal where great – good communications from your distributors office, the price was right & delivery was on time. The team were really helpful with the handover and setup. Very impressed with the WVF mower. I’ve been cutting some overgrown fields it tackles the weeds & nettles with no problem. They were happy to answer all my questions before I made my purchase. Excellent level of service, Very helpful & I’d happily buy more equipment from here……. I just need to find a excuse to do so! 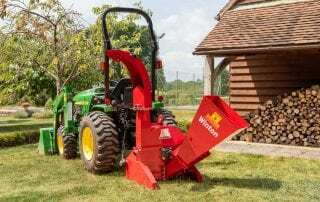 Winton Machinery is developing an impressive reputation as a manufacturer of heavy duty flail mowers for use on a range of small tractors. 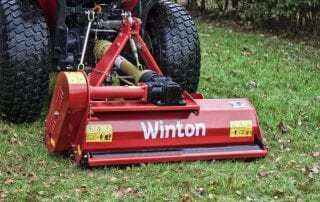 My Winton Wood Chipper was exactly as described and works well on my compact tractor, thank you Winton. 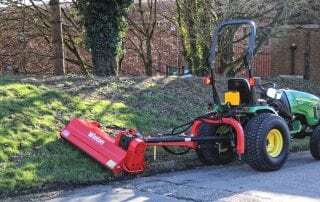 Take a look at our working demonstration videos of some of our more popular pieces of groundcare machinery. We have a large distribution network with stockists located UK wide. For more information on a local stockist click through below. We are always happy to welcome new companies to our growing network of distributors, both within and outside of the UK. Please contact us for further details about becoming a distributor here. All products comply within EU safety standards, supplied with CE badges and have supporting certification. 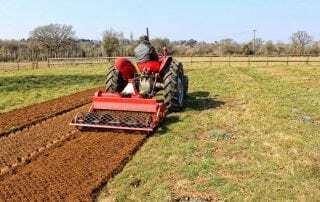 All machinery is provided with 12 months parts warranty, so that customers can buy with complete confidence and peace of mind. Advice from our team of experienced engineers with year round mechanical support and testing in our workshop. We keep spare parts on the shelf to complement our extensive range of agricultural products. 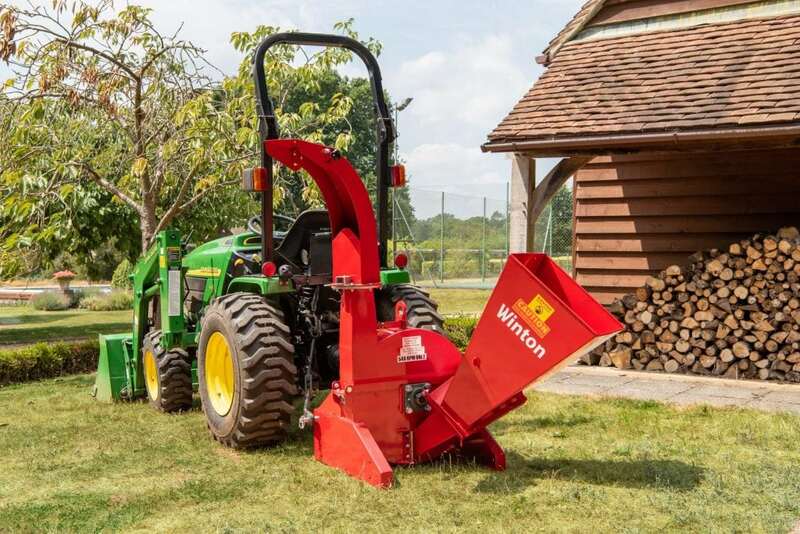 Winton offers a variety of implements ideal for smallholders and farmers, continually introducing additional products across our existing ranges. We offer competitively priced delivery throughout the UK and France through our distributor network.